HALCYON DAYS – Valentine’s Day Gifts & £30 Off When You Spend £150! Surprise your loved one this Valentine's Day with a carefully selected gift for him or her from Halcyon Days. Featuring unique designs, the range includes gold plated bangles, sterling silver cufflinks and handcrafted enamel. 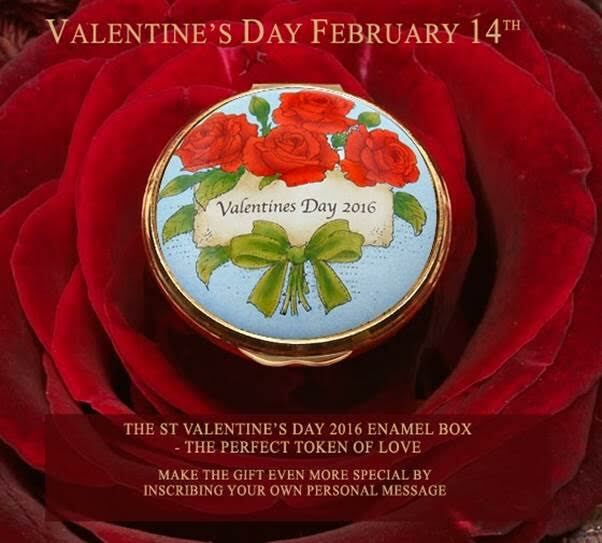 As well as their 2016 St Valentine’s Day Box, which is the 42nd in their series of annual enamel boxes celebrating this romantic holiday. 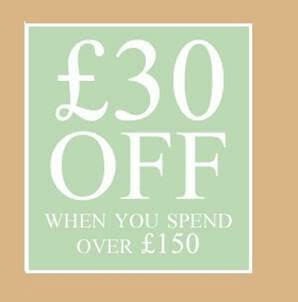 Also, get £30 off when you spend over £150 on full priced items until midnight Wednesday 27th January! The discount will be applied automatically at checkout, no need to enter a code.